Visit the shopping village at the Trentham Estate, where you can browse 77 timber lodges housing amazing shops, cafes and restaurants. 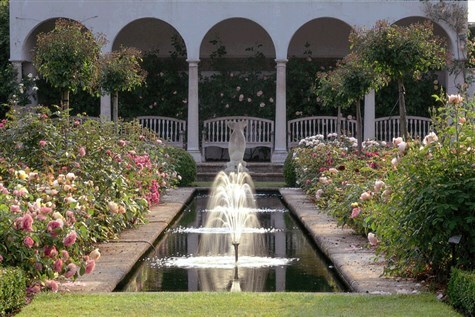 We include admission to the gardens, with its famous Italian Garden, Rivers of Grass and Floral Labyrinth. Walk along the mile long Trentham Lake and take the Fairy Trail. For an extra charge you can visit Trentham Monkey Forest. Over 700 different varieties of roses are planted in the 2 acre garden at David Austin Roses. The garden is divided into a number of smaller areas, each with its own style.